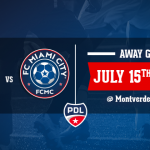 After seeing off Miami United of Adriano in a challenging game last week, FC Miami City will continue its road to the upcoming season with a friendly game against Boca Raton FC. 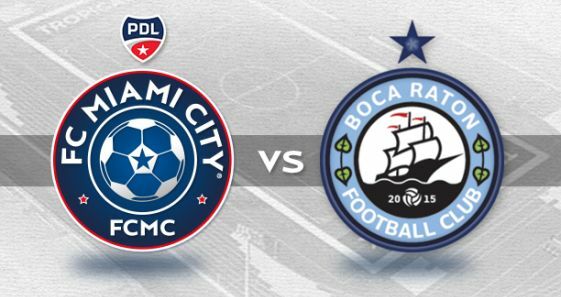 This Saturday, April 23rd 2016, FC Miami City will host Boca Raton FC at our brand new home field in Tropical Park Stadium at 6.30pm. This is an opportunity for our champions to familiarize themselves with this new field. 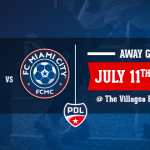 It is a chance also for our fans to come cheer on our team just before the 2016 PDL season. It is essential for our team and the head coach Wagneau Eloi to maintain expectations high during trainings and matches, improving day by day the team’s dynamics and to get even more confident between each member of the team. “I am happy about the results we achieved so far. Now the roaster is officially completed and we have an amazing opportunity for the upcoming 2016 PDL season to shine and achieve great results. My players are almost ready and we will play every single match with the highest intensity and motivation as possible. These friendly matches are a great opportunity to test the team and getting ready for the official season” Head coach Wagneau Eloi said. The competition among our champions is still high to earn a position between the starting XI. 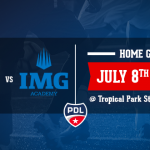 The official PDL season will start May 7th, the pressure is officially ON!